The most difficult commute continues to be on southbound I-35W through northeast Minneapolis into downtown. A police incident that began around 6 a.m. has the right lane near Washington Avenue blocked and traffic backed up to north of Industrial Blvd. A new snag for St. Paul. 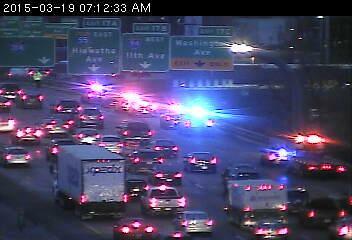 A stalled vehicle in the center lane of westbound 94 at Mounds Blvd. has traffic at a crawl from White Bear Avenue.